Apples vs Applesauce for weight loss? Have you ever wondered if applesauce is as good for you as apples since, well, it seems to be pretty much just made up of apples right? Sure, the primary ingredient is you guessed it… apples, but that doesn’t mean that they’re equal in regards to nutrition. They look completely different and that difference leads right into the nitty-gritty, too. Research is proving that this old saying has a lot of truth – eating apples does help to reach a longer, healthier life. You might assume that naturally raw apples would be better for you and more nutritious. But believe it or not, which one you eat (or you decide to give to your kids) might have a lot to do with your dietary preferences and needs. Let’s take a look at some of the points to consider when choosing between apples or applesauce. Fiber is an important part of any diet. 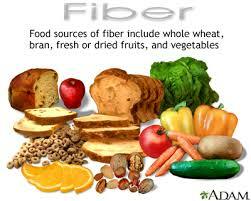 Getting enough fiber will help your digestion system work more efficiently and also keep you feeling fuller for longer. Apples and applesauce are both normally a good source of dietary fiber. Both applesauce and apples will provide you the same amount of fiber, 3 grams per cup (cup of raw apple slices or a cup of applesauce). Men and women are different: men should get about 38 grams daily and women should get about 25 grams. So for fiber, the question is which you prefer and how much fiber should you be adding to your diet? Applesauce provides more calories than apples. This isn’t necessarily a bad thing. If you are an active person then you need more calories than someone who isn’t very active. A cup of raw apple slices will only consist of about 65 calories. A cup of applesauce on the other hand, will consist of about 167 calories (a bit less if they use Stevia). If you’re on a diet or a strict calorie-count then apples make the better choice. But if you’re on the go, exercising, training or just a very active person then the applesauce may make more sense. The glycemic index for apples is 38 – a very low number and a main reason apples are a great diet food. The glycemic index for unsweetened applesauce is 53 – about the same as pineapple, bananas, grapes, or corn tortillas. What this means is, you can eat a lot more calories with applesauce, and the calories are much more quickly converted to blood sugar. 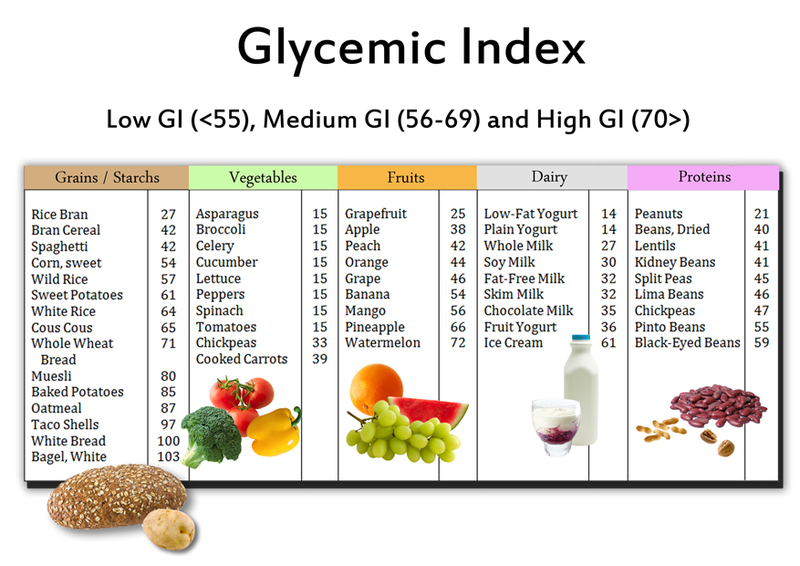 The Glycemic Index is a number that rates how fast a food is converted to glucose within the human body. On a scale of 0 to 100, the higher the number, the faster it is converted to glucose. Too much glucose in the blood too fast will cause the body to produce insulin to bring it back down, which is not good. You really want to avoid the insulin response. It is bad for your health for many reasons and results in type 2 diabetes for far too many Americans. Low glycemic foods are greatly preferred if the goal is weight management. Pure glucose serves as a reference point, with a Glycemic index of 100. So applesauce is not nearly as good as the low cal, slow release of apples, but better than most foods and still considered quite good. Your body needs carbohydrates since it’s one of the easiest nutrients to transform into energy. In fact, most of your body’s energy comes from what carbohydrates you eat. In regards to carbohydrates, raw apples are the lesser again… if you’re following a low-carb diet then you probably want to choose raw apples. A cup of raw apples will give you about 17 grams while a cup of applesauce will give you about 43 grams. If you need more potassium in your diet, then this time around it’s the applesauce you should likely choose. A cup of raw apples will give you about 134 mg.
A cup of applesauce will give you about 184 mg. Potassium is important for many things, such as healthy heart functioning and muscle contraction. It’s recommended that adults get about 4.7 grams per day. However, there are medical conditions that can affect this so talk to your doctor about your potassium levels if you’re unsure. Fresh fruits and veggies are well-known for providing plenty of vitamins and minerals we need. Vitamin C particularly helps your body heal wounds more effectively and repair bones and teeth. Women are advised to get 75 mg per day and men 90 mg per day. Apples and applesauce are very close in nature when it comes to Vitamin C. A cup of apples will give you about 5.8 mg and a cup of applesauce will give you about 4.2 mg. Conclusion: For Weight Loss, Apples are better – less calories, lower glycemic index, and more fiber per calorie. In this recent study, women showed 25% lower blood fat levels from eating 2 apples a day, which is better than results from prescription medicines. Raw apples are better, but somewhat limited since most people find it difficult to eat more than one apple a day. They simple get tired of apples. By eating applesauce a few times a week, you will benefit from its natural fiber, nutrients and healing properties. Not only will you experience greater health, you can use applesauce as an appetite suppresser while enjoying its sweet and delicious taste. Conclusion: Applesauce is a good diet food that you can eat by itself, and can easily be added to many recipes. Apples ARE better for dieting in THEORY. But many people find applesauce easier to take and it doesn’t use up your limited willpower to add to your diet.